“Maybe they’re not doing this to Monroe, Presley, Lennon because the media didn’t lie about their deaths. What if it can actually help Michael and bring out what we’ve been saying all along – that he wasn’t an addict or unhealthy?”. Tatum, I see the only beneficial effect of the autopsy program in a probability that it will make people wake up from the nightmarish sleep they are in now, clear up their minds in a couple of things and the program backfiring on its initiators. Though the examination of a dead body – even a synthetic one – is surely a horrifying sight I understand that in some circumstances it may be helpful – for example, in case of a mystery murder where it is important to determine how tall the murderer is, whether he was left or right handed, etc. In short it is more or less possible when such an examination is the only way to determine the cause of someone’s death – with a reservation that the synthetic model does not resemble the real person and is shown within certain limits. But even in such a case my personal preference would be a simple drawing, not a body. Can any of you imagine Princess Diana’s synthetic cadaver (even a non-look-alike one) being shown in a TV autopsy program? After all we don’t know the exact reason of her death and some would probably want to learn it? Whether her head was twisted backwards or her ribs penetrated her heart as a result of the accident? But are you sure you want to know all these details? And see the sight? Isn’t it a natural way to show our respect for Princess Diana by REFUSING to see the sight even if it is imposed on us by some morons? I think it is. However if the body displayed is that of a homicidal maniac the feeling of respect will be gone, won’t it? And you won’t even care whether he is dissected or not because you’ll think he deserves it? You will refuse to watch it just for the revolting sight it is, won’t you? So the very first thing we learn about the Discovery channel program is that they are going to demonstrate gross DISRESPECT for Michael Jackson because the very fact of the show means they are treating him more like a criminal than an honorable person like Princess Diana. This alone is meant to convince the viewers that as regards Michael Jackson ANYTHING is possible. If this point is clear and agreed upon, let us look into the other reasons the Discovery channel might present for reenacting the autopsy. – They can say they want to show the real cause of his death. This point could be more or less valid if the cause of death were external – for ex. if out of the several bullets shot only one was found fatal and they wanted to show which one. However the cause of Michael Jackson’s death was purely INTERNAL , which cannot be seen with a naked eye – it was the unacceptable level of anesthetic propofol given to him while his system was practically healthy for a 50-year old. To come to a conclusion like that one doesn’t have to see the body at all – the most we need is a lab sample of his blood or other tissues with figures showing the concentration of propofol there. Showing the body, dismembering it and taking away MJ’s organs will not answer the declared purpose of the procedure even minimally. – Another pretext for the program might be examining the possibility of Michael injecting the propofol himself. But to be able to determine it one doesn’t need to dissect the naked body either – it would be enough to place a live human being on a bed and ask him to reach for his leg and try to inject some substance there (keeping in mind that in the very first second of the injection the person is supposed to fall asleep). So even without making such an experiment it is clear that the self-injection hypothesis isn’t in the least workable and no autopsy should be arranged to prove it. So no matter how you look at it the ONLY real reason why the Discovery wants to display Michael’s naked body and cut it into pieces in full public view is because they want to humiliate and degrade him, show his scars, his plastic surgery, his thinness and his intimate parts which are not meant to be seen by strangers, his children or even his mother – even if they are synthetic and not really his. You know, there is something very intimate about death as such. Every world culture has it that when the soul leaves the body, the remains should be treated with utmost dignity – which is actually the only and last sign of respect you can show for the deceased. The body is never dissected in public – we are no doctors and have no need to see the sight of anyone being dismembered. To unspeakably humiliate Michael Jackson after death by showing his scars and intimate parts simulated in a synthetic body which no one will want to manifest to the outside world whether alive or dead, natural or synthetic. To fake the process of discovering the truth about the cause of his death as sawing his skull and putting aside his brain or guts will not take us any closer to the cause of his death which was propofol – plain and simple. To insult, defy and challenge Michael Jackson’s family by showing total disregard for their feelings and placing the ‘right’ of the world to humiliate the deceased man over the family’s right to enjoy a little privacy and respect for themselves. To finally bury Michael Jackson in people’s memory. The vivid picture of his body dissected, his brain taken out of his head and muscles cut might be a try to forever replace Michael’s charming smile and gracious movements on stage with that morbid image – at least in the memory of those who will watch the “cadaver show”. To desecrate the notion of death at large. It may be just another of those numerous ways to make people get used to the sight of death, think of it as something ‘common’ and believe that once a person is dead his body is trash which can be treated in a way one sees fit. But the final and probably most global purpose of such a program is to make profit at the expense of degrading the spirit of those who will be watching the show. As in all cases of an insult to the human spirit the viewers of the program will go through various stages of emotions – the initial thrill will be replaced by an unhealthy satiation, followed by the annoying sense of something wrong, ending you up feeling shallow, disgusted with yourself and dirty all over with the kind of dirt which cannot be washed off with any shower in the world (except tears of repentance). Tearing down a human spirit or hindering it from its progressive elevation is a very serious crime against humanity. Who said it? Many ancient texts say it, one of which is the Gospel. The Gospel says that everything can be forgiven – even abuse of the Holy Father and Son. The only unforgivable crime is the abuse of the Holy spirit. This spirit is something which descends on humans from somewhere above turning them into a species different from mere animals. Some think that humans are born with a grain of it in their souls. Some consider it to be their conscience. Abusing human conscience, encouraging humans to give in to their animal instincts and making them descend rather than ascend in their spiritual development is a grave insult to the human spirit which everyone should be extremely wary of. All those who will be watching the program (with the exception of doctors who will take it purely professionally) will feel the effect of being spiritually abused. You can try it to see the downfall you will be experiencing or you can consciously refuse to allow it to happen. December 29, 2010 News Flash! Branca and McClain apparently realize they can’t legally stop the show but they are appealing to Discovery’s moral decency to cancel the program. We are the co-executors of the Michael Jackson Estate. As you are aware, plans by a Discovery Communications channel to air a program in Europe next month purporting to reenact Michael Jackson’s autopsy has understandably angered Michael’s fans worldwide. Your decision to even schedule this program is in shockingly bad taste, insensitive to Michael’s family, and appears motivated solely by your blind desire to exploit Michael’s death, while cynically attempting to dupe the public into believing this show will have serious medical value. We were especially outraged when a sickening print advertisement for the program appeared making light of Michael’s death by depicting a corpse sprawled on a steel gurney covered by a sheet with a hand sticking out wearing Michael’s signature sequined glove. Discovery obviously views this as clever advertising and creative “branding’ for its program. But in fact, the ad is debased, sick and insensitive. No doubt this fictitious, morbid image is being spread worldwide even now on the internet, viewed by Michael’s loved ones, and even accepted as authentic by those who may be unaware that Discovery made it up. There was a time not long ago when Discovery was synonymous with some of the best programming television had to offer, including focusing attention on many of the same environmental issues Michael was so passionate about during his life. That’s why we find your decision to proceed with an offensive, exploitative program like “Michael Jackson’s Autopsy” so mind boggling. On behalf of Michael’s family, fans, common sense and decency, we urge you to reconsider and cancel this program. The Estate has recently advised that their team of lawyers after discussions with UK lawyers regarding the autopsy programs, were told there were insufficient legal grounds to stop Discovery’s programs from going ahead. Based on the authopsy’s report and court documents, the film will show a reproduction of the body of the star in every detail. The documentary aims to follow a doctor who will dissect the body and reveal the true reasons for his death by spreading rumors about his addiction or his skin condition. Like any other human being on this earth, Michael Jackson is entitled to a minimum of decency and respect. Over the months, media accumulate abuse and act as low as before. We ask the directors of the Discovery Channel programming to proceed with the outright cancellation of this indecent documentary, detrimental to both the person and his family and loved ones. UNITE against the ignominy ! No doubt you are all aware that Discovery Communications intend to air a succession of programs that re-enact a mock autopsy of Michael Jackson using a synthetic cadaver and a Doctor who will perfom the mock autopsy. Scheduled to hit UK screens and most of Europe, from January 13th through to the 16th, many people within the fanbase — and elsewhere — are naturally appalled by this prospect. would like to invite you and your members here to join with us in expressing your clear, powerful opposition to these programs. We are not deluding ourselves. These programs may indeed air, but to do nothing shames us as Fans — and as people. 1: Express Your disgust in emails, calls and letters. In the US, UK, and other countries around the world, people are writing, emailing and calling Discovery as often as they can ( preferably daily). 2: Block Discovery from their Cable viewing selection – and make sure Discovery know you have done so. making sure Discovery know they have done this — fans can easily but effectively put their protest to Discovery — into action. that you have blocked Discovery from their channel selection — you will send a loud and clear message to Discovery. Discovery are immediately alerted that there is a serious problem — and one that won’t go away. All fans are asked to send a copy of the emails they send to Discovery executives (you can simply cc all of them in one email) to mjj@innocent.com. You can do this simpy by bcc’ing the mjj@innocent address so it is invisible to the Discovery executives you email. We are asking for this so that those emails can be added to a physical package that will be fedexed to Discovery in early January 2011. The deadline for the fedex package is December 31, 2011 — but we NEED all of you to still CONTINUE emailing after this date. We all know why we are doing this, and — whatever happens — we do it together. UPDATE January 1, 2010 1 a.m.
We are starting the year with the happy news of the Discovery program cancellation. I have asked myself the same question as Tatum, and have come to the same conclusion as you so eloquently point out here. Obviously, we don’t know the direction the show intends to take. It could actually come out in Michael’s favor. I have no personal objection to an informed DISCUSSION of the autopsy, especially if I thought such a program would actually vindicate him. It is the autopsy REENACTMENT-synthetic cadaver or not-that I, and I think most reasonable people, are objecting to. Discussing Michael’s autopsy isn’t a pleasant subject, especially for the more sensitive. However, the information in the report is on public record. In that case (if they merely discissed the autopsy findings but did not reenact it) I would say a viewer could decide for themselves whether or not they have the stomach to watch. But the reenactment leaves no room for arguement that this is a degrading program to Michael’s humanity, and to all humanity. Is it possible that Discovery is simply playing up the sensationalism of it for promotion and advertising? Perhaps. But that still doesn’t make it right. In fact, that’s even worse, as it’s setting Michael’s autopsy up like a circus sideshow…”Step right up, folks, and see what we have here…”, regardless of the intent of the program itself. When the ad began circulating, it left little doubt that this was exactly Discovery’s intention. I have watched enough Discovery in the past to know that this is, to some extent, how they operate. Even if it’s an educational program, they will play it up in the ads like a tabloid headline. That’s to “hook” viewers. But it’s also appealing to the lowest human denominator. And if the show’s purpose was merely to tell the truth about what happened to Michael, they could do it without the need for a reenactment. However, how many viewers would be apt to tune in just to hear someone discussing the report, or showing a drawing? Exactly. It’s all about ratings-not information, and certainly not human dignity. I’ve read the comments concerning the possibility of his coming out in Michael’s favor. What of his Mother and his children. What of when the trial is long over and this thing is a forever. Considering what happened with the Los Angeles County Bar Association (LACBA) Seminar and what it was suppose to be for and what it was actually for (money & bragging rights and an opportunity to promote Gavin and continue to lie) I find I have no faith in Discovery Channel to do the right thing. Besides if it had been about exploring the cause of death they could have used a panel of doctors who had read the autopsy and were to discuss it. Their advertisement tell the way this will go (gruesome) and the fact they are using News reports calling them “official” tell it will be in part inaccurate. We all either love, respect or wish to vindicate Michael, but Katherine & the children are of his flesh and blood. They do not want this, but their rights and wishes are being ignored and stepped on, much like Michael’s rights & wishes during the 2005 trial and for much the same reason. Had this program been intended for any type of medical benefit it would not have been started (Oct 2009) before the official autopsy documents were available for release to the public (Jan 2010) nor would they have so successfully hidden its’ existence until now. Thank you for an excellent article David! I kind of chuckled to myself on the “fake” autopsy for truth. I had never thought of that. If a person is willing to fake something, why should that person be considered as one with the capacity to be truthful? It is insane! I love this article, hope you don’t mind if I share it. People really do need to make up their minds. Raven, exactly! Discussion is even needed – with computer graphics, animation, diagrams, drawings, chemical tests, etc. showing how this or that medicine is working on the body. Such a program could be truly educational, serve the purpose of Michael’s vindication and answer lots of questions which many people might still be having. But reenactment of the autopsy? It is the opposite of the above idea – it is shocking and degrading and an extremely ruthless thing to do. Besides being completely senseless too. Absolutely! It is a spectacle of a perverse and macabre nature. Death turned into a show. Quite possible (I’ve also thought of such a possibility). But even if they are only playing with this crazy idea and the reality turns out to be much more decent, the method of advertising the program is totally unacceptable. It is a sort of a mental abuse – we have already visualized all those terrible pictures due to their official description of the “show”, so can consider their idea already half-materialized. With a beginning like that it will take just a little small step to take it to the end. Once you step on the road to dehumanization there is no stopping the process – tomorrow you are not satisfied with what you’ve seen today, the craving to experience a stronger shock grows with each time and there is no other way out but satisfy this animal instict further. A road to hell. Their ratings at the expense of general human degradation? NO, THANK YOU. Yes, Dial, when I think that his Mother and children will one day see their dear one being dissected, I – frankly – stop believing that it might be really happening. It is like a bad dream where you desperately want to wake up. What I can’t believe is that this is being done by the so-called civilized people and that it is being done today! I see ASOLUTELY NO NEED to have a show where Michael is nakedly displayed, slit from the neck down and gutted like a fish. I find it morally reprehensible. These people need salvation. I HATE that people like: Dimond, Orth, Bashir, Sneddon etc. get to sit in their lazy boy with a nice glass of wine and watch the result of their life’s ambition. I can’t tell you how much it galls me. When Michael died Orth said on TV he was a pathetic excuse for a human being. The fact that she gets to have her way makes my blood boil. No doubt you are aware that Discovery Communications intend to air a succession of programs in the UK that re-enact a mock autopsy of Michael Jackson, using a synthetic cadaver and a Doctor who will perfom the autopsy. Scheduled to hit UK screens on January 13th through to the16th, many people within the fanbase — and elsewhere — are naturally appalled by this prospect. Advertised as a dramatic re-enactment of Michael’s autopsy, recently released promo grabs of the imagery Discovery plans to use, reveal theobviously, sensationalist intention behind the making of these shows. All members of this site are now asked to express their clear opposition to these programs. We are not deluding ourselves. These programs may indeed air, but to do nothing shames us as Fans — and as people. In the US, UK, and other countries around the world, site owners and moderators are urging their members to write, email and call Discovery as often as they can (preferably daily). call so that they can express themselves clearly to the operator they reach — or the recorded message they are directed to. People can then leave that message at Discovery’s Viewer Relations phone line in the US, the customer service department in the UK, and/or the phone-line of Lucy Radciffe – the senior assistant to Nicolas Bonard – head of Discovery UK. That link also contains the email addresses of key Discovery executives and the email address of Dr Hunter who will be ‘performing’ the mock autopsy. 2: Block Discovery from their Cable viewing selection – and make sure Discovery know they have done so. By calling their cable providers and requesting that the Discovery channel is removed or blocked from their TV line-up, and/or blocking Dscovery by using the parental controls feature on their Cable or Dish set-up —and making sure Discovery know they have done this — fans can easily but effectively put their protest to Discovery — into action. The most important point is: — that by making that call to their cable provider and asking that a log be made of their request for the removal of the Discovery Channel from their package, or informing their provider that they have blocked Discovery from their channel selection — you will send a loud and clear protest to Discovery. Simply blocking Discovery does not send a digital or automatic signal to them. It is when fans actually call their cable providers, then call Discovery, and send an email to Discovery’s on-site complaints link — that Discovery are immediately alerted that there is a serious problem — and one that won’t go away. We are asking all fans to send a copy of the emails they send to Discovery executives ( you can simply cc all of them in one email) to mjj@innocent.com We are asking for this so that those emails can be added to a phsyical package that will be fedexed to Discovery in early January 2011. Thank you everyone for your help. We know why we do it — but please do it. Who knows? The show might actuallu do more harm than good. But I won’t hold out open for that one. As far as the media and Michael Jackson are concerned, the media always ends up looking victorious, while Michael does not. This is one of those situations where we’ll have to wait and see, I guess. But I know I won’t be disappointed. Section 8 Privacy seems to be a good reason to stop this “show”. The idea of Discovery producing a show such as this boggles my mind and my sensibilities about human dignity. I do not see the merit in raking Michael over the coals again as has been done via tabloid journalist for too many years. Have we as humans fallen to this unthinkable depth of depravity and almost cannibalism. This is not the type show I would want to see regarding anyone and especially not someone who gave so much to the world. Discovery where is your moral conscience that should be telling you doing this will cross a line that we will never be able to uncross. I just find it despicable. So it seems the most we can do is write them AFTER the program airs. And I agree with Deborah that they intentionally ignore complaints concerning insults to Michael – we once bombarded them with letters about a hideous article by Tanya Gold in the Guardian and they gave us an absolutely formal reply. Something like “the editorial board is not responsible for the opinions expressed by individual journalists”. But we can still try. Every button should be pushed. I understand your meaning, but you forget it was we who created and controlled the witch hunt, who perpetuated the lies and hide the truth. Who broadcast a mock TV trial for entertainment. Who leaked tainted and false information. For so many reason. It was our nation of lawyers, judges and law enforcement people who heard the illogical and unlawful statements about non-existing charges, victims and evidence and did not lift their voices to correct or question. The same that knew Michael’s Constitutional rights were being violated and did not do a blasted thing. On the eleventh hour the Estate fires off a letter which is sent to TMZ for us to read. Thank you for your fresh eyes. Neither we nor the family had success with Ofcom in the past two cases where liable and slander of Michael was involved, but that does not mean this is not worth looking into. “it was we who created and controlled the witch hunt, who perpetuated the lies and hide the truth. Who broadcast a mock TV trial for entertainment”. Yes, Dial, I agree. The “story” of Michael Jackson is actually the story of human vileness and the urgent need for all of us to mend our ways. Someone has said here that Michael Jackson was a mirror – he made us look into it and grow horrified and upset by what we saw. We are asking for this so that those emails can be added to a physical package that will be fedexed to Discovery in early January 2011. The deadline for the fedex package is Decemeber 31, 2011 — but we NEED all of you to still CONTINUE emailing after this date. December 29 – TMZ, the celebrity gossip TV series and website, acquired and made public a private letter from John G. Branca and John McClain (representing the Michael Jackson Estate), which was addressed to Discovery UK. The heartfelt and impassioned letter urges Discovery Network to abandon plans to air a sensationalistic and offensive documentary that features a reenactment of Michael Jackson’s autopsy. Fans worldwide, who have been outraged by news of this program (set to air in January), have started a campaign to pressure the network to cancel the airing. The strongly worded and persuasive letter from the Estate lawyers is being seen by fans as their greatest weapon in their fight against the Discovery documentary. Although the release of the private letter has empowered most fans and put additional public pressure on Discovery UK, the Estate was disappointed that it had been leaked. The letter demonstrates that when it comes to protecting and preserving the positive image and legacy of Michael Jackson – his family, his fans and his Estate are united. The executors of Michael Jackson’s estate asked Discovery Communications Inc. Chief Executive Officer David Zaslav to cancel a televised re-enactment of the pop star’s autopsy. A Discovery channel in Europe plans to air “Michael Jackson’s Autopsy: What Really Killed Michael Jackson” next month, executors John Branca and John McClain said in a letter released today. “Your decision to even schedule this program is in shockingly bad taste, insensitive to Michael’s family, and appears motivated solely by your blind desire to exploit Michael’s death,” the executors said in the letter. Michelle Russo, a Discovery spokeswoman, said the company had no comment. The show is set to air in the U.K. on Jan. … (no date not to advertise it), CNN reported Dec. 14, citing the network. Jackson, 50, died in 2009, leaving about $500 million in debt. Since his death, the estate, the owner of interests in songs by the Beatles and other artists, has generated about $275 million. 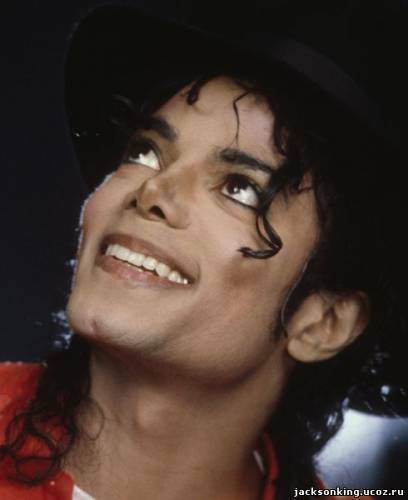 A posthumous album, “Michael,” was released on Dec. 14 by Sony Corp. The other reason why I am posting this article is because they name the sum which has been earned and is still owed by the estate. I do hope that those who are not buying the new album are ashamed of themselves for not helping to pay Michael’s debt. This is the very minimum we can do for him and no amount of hypocritical “peace and love” words can substitute this small token of real love which can be given to Michael by a mere fulfilment of our duty to him. Guys, I am really trying not to hate the boycotters. Really trying. Some of them are professional Michael’s enemies but some have just fallen victim to the heavy brainwashing campaign. The New Year wish I have for these people is that they develop an immunity to lies. I´ve never heard of Ofcom before, so I thougt it was worth a try. But your experiences with them are very discouraging, so I will try something else ! I am not a conspiracy buff but don’t you think that it`s no co-incincidence that discovery channel proposses to show this programme the same month that dr murray is suppose to start his defence on involuntary man-slaughter case which by the way its been speculated in the press today that his whole defence is that mj inject himself that the whole essence of the show is to further put the blame on mj for his owm death,just food thought. The L.A. County Coroner has joined the chorus of those who are scoffing at the Discovery Network for an upcoming show reenacting Michael Jackson’s autopsy. Sources tell TMZ … producers from Discovery — who plan to air the show in Europe — went to Assistant Chief Coroner Ed Winter earlier this year, asking if he’d sit for an interview, describing MJ’s autopsy and the investigation into his death. Dutch channel refused to show the disgusting Autospsy report about Michael. They say that it is disrespectful against his family and that it is again slandering MJ in the mediaworld. There are some people with morals and compassion in the world. Let’s pray, the rest follow them. “The L.A. County Coroner has joined the chorus of those who are scoffing at the Discovery Network for an upcoming show reenacting Michael Jackson’s autopsy. Dutch channel refused to show the disgusting Autopsy report about Michael. 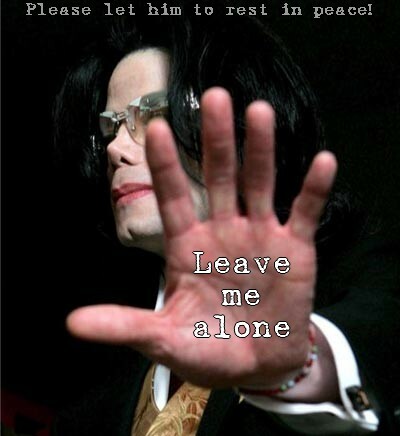 They say that it is disrespectful against his family and that it is again slandering MJ in the mediaworld. There are some people with morals and compassion in the world. Let’s pray, the rest follow them”. Oh, Gigi, what fantastic news about the L.A. Coroner and the Dutch channel! Great people. Let us indeed pray that human beings will be human beings after all and that others will follow. There are 9,742 signatures at the moment. PLEASE JOIN IN. Guys, seems I said it too soon. Time to celebrate will come in a few hours only. Before that we still have some time to spread the UNIVERSAL MESSAGE to all fan sites or whatever places we can reach. Please send it out and see the New Year in with your conscience more or less quiet. I hope tomorrow we will wake up to a better world than today. i cannot believe that discovery (a channel respectable and serious like had been until now) could consider to show something like this..disrespectful, insensible, awful…please stop! it is really painful discover try to show that . until when the media is going to humiliate mj and his mother/children? That’s understandable but the points you just listed were hearsay. I am happy that they canceled it because of the trial but I was content about Michael being portrayed in a good light. I remember the terrible aspects of the show were from blog to blog, person to person and nothing that Discovery stated themselves. When has Discovery ever been so unprofessional and graphic? I believe their history should count for something. This is the same network behind Aphrodite Jones “True Crime” documentary. They are disappointed that re-creating the autopsy may not suit the tastes of some of their viewers? What should these tastes be like for people to enjoy reenactment of the autopsy? If Discovery wanted to make a serious and unbiased program analyzing Michael’s health no one would have objected to it – but their own words, accompanied by a highly suggestive photo of a naked man under a sheet and Michael’s glove, showed that it was meant for entertainment only (if we can call it entertaiment at all). “We re-create his autopsy using anatomically correct synthetic cadaver and examine the official coroner’s report calls on the testimony of experts” This is the only statement that came from Discovery, and anyone is free to dissect it how they will, but to me, it sounds educational. Recreating the autopsy does not necessarily have to be exploitative or graphic. They are trying to find out the truth about Michael’s condition and it sounds like they were actually doing research. In order to find the truth you have to start from scratch. I believe the French ad fueled this too- but being a designer and experiencing the different forms in various countries—the French are straight to the point and blatant with their advertising. There is going to be a different advertisement for each section in the UK. It wasn’t an image to demean Michael but that’s the French culture in design- straight to the point. This documentary would have put the information that has already been made public in its proper context. I’m happy it’s canceled because of the trial, but I do hope to see it one day.